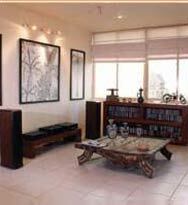 The residencies at the landmark redefine apartment living. The result of several years of meticulous market research, the units are available for outright purchase or rental for individuals, corporations or diplomatic entities. Whether your goal is easy access or a residence with the most modern amenities and features the landmark has it all. With only 04 units per floor no expense has been spared to create the ultimate living environment – ideally suited to those seeking high security and a discreet address.